I came across from Perth, Scotland after seeing James Mason. I started to speak with him via e-mails and was amazed at what he had done, so I came over for 4 weeks to try it myself. 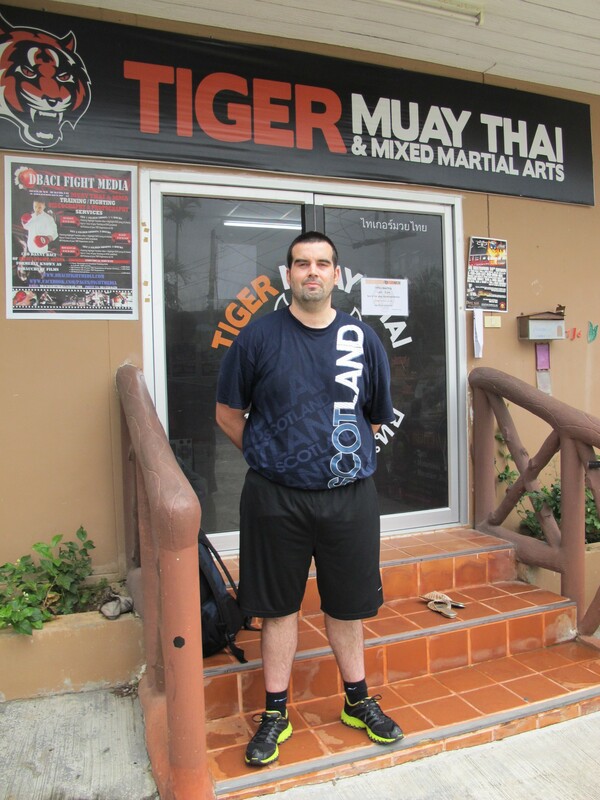 I met James at Tiger Muay Thai & MMA Training Camp and felt at ease straight away. I was also amazed with Tiger as well. What a great place! The staff are brilliant and very friendly. I would certainly come back and tell friends to come as well. It is an awesome place to meet people. I lost 13 Kg in 4 weeks so couldn’t be happier! Big Thank you to Tiger and most of all, James Mason.